Our Baby & Mama course builds the foundations for learning while being in the safety and care of mom. Stimulating the 5 senses with a lot of music, rhythm, colors, shapes & laughs! We set the stages for mental, physical and emotional development with your child. Using picture books, music, art and imagination, your child will begin his adventure away from mom! 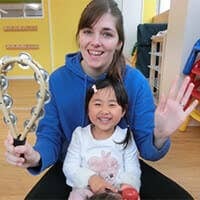 Small class sizes with 2 teachers (one native speaker and one bilingual Japanese teacher) and new friends, build a fun foundation for learning and social skills! Our custom, 100% English, age-appropriate curriculum is co-taught by 2 teachers (one native English speaking teacher & one bilingual Japanese staff). We motivate children to positively ask “Why?” and to discover the answers found all around them. Through exercise, music, painting and STEM we give the children the skills necessary to Grow in a free and fun atmosphere. English conversation classes created for children attending Japanese kindergartens and elementary schools to brush up their English level. All classes are taught 100% in English with a focus on speaking, listening, reading, and writing. We balance academic learning with active learning methods such as TPR, as well as heavy heaps of FUN! This course is designed for children with native level speaking skills. It specializes in increasing vocabulary, reading, writing, grammar and communication. STEM (Science Technology Engineering Math) teaching methods are also incorporated to help children think outside of the box and use their language skills to problem solve. 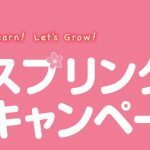 Grow International Preschool is an immersion based English kindergarten and early learning center located in Meito-ward, Nagoya. We focus on international education methodology with lessons that attract children’s core interests while adhering to the motto “Play, Learn, Grow!”. In a 100% English only environment we draw on children’s curiosity, imagination and support their growth! In addition to focusing the basics such as reading, writing and physical education, we have also adopted the STEM methodology (Science Technology Engineering Math) into our kindergarten & advanced lessons to harness the children’s ability to think outside of the box. We always encourage children to think of “How” they can overcome any obstacle that they face. This gives them the confidence to Grow up and tackle any challenges they will encounter in the future! An International Preschool is a kindergarten, day care center or nursery where the native language being used is English. 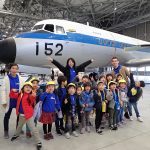 In Japan, International Preschools are immersion based, cater to both the expat and local community and all classes are primarily taught in 100% English. Children will learn many things other than just core language skills. 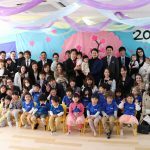 At Grow International Preschool, children attend from not only Nagoya but the surrounding areas such as Tenpaku ward, Chikusa ward, Showa ward, Moriyama ward, Nishin City and Nagakute City! From birth to 6 years old, a childs brain is developing extremely rapidly. They are able to absorb the sights and sounds around them and put meaning to what they see/hear and interact with. They are continually watching and learning! They want to know “Why?”! Setting the foundations and harnessing this energy to create a lifelong love of learning is paramount to success in the future. What kind of child grows at Grow? 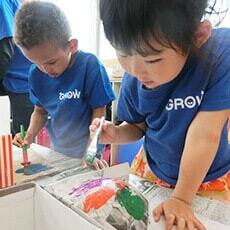 At Grow International Preschool, we offer courses tailored to each age range. We have students with us from 6 months old all the way up to Grade 5. Every course has its own curriculum that stimulates the interests of the children. We love seeing the kids absorb something new and come to school each day excited and ready to learn! We have both international expat and local families attending Grow and we work closely with parents to give their children the best global-thinking, learning and growing environment possible. At our Makinohara campus, we have students attending from Naka ward, Chikusa ward, Showa ward and other suburbs of Nagoya. 03/04 – 2019 Spring Campaign! Our daughter had a great time at Grow! She was able to learn about some Japanese cultural events and took back some Japanese customs with her when we left. We were sorry to leave! The Japanese parents were always keen to invite us along for play dates! Unlike Japanese schools, this school did not have a stiff or rigid feeling. All staff and teachers are friendly and excited to see the kids each day. In addition there are a lot of events each season where the parents can have fun with the kids too! Its great fun to watch my son sing songs that he picked up at Grow! Sometimes he surprises me by speaking English phrases at home and I can clearly see him growing every day. S-chan really doesn’t like going home at the end of the day! I can see that she is really enjoying her time at Grow and we are glad that she is having fun! Im happy to hear about her many experiences throughout the day and she sings song that she learned at school in the car. My son had a fantastic time at Grow! Im really happy that he got so much exercise in addition to trying new things! He always asks about if he is going to school if we are driving by on the weekends. Q: How can I RSVP a trial lesson or tour? Please contact us by phone to reserve a trial esson. We accept children for trial lessons for the afterschool, GGC, Saturday and Baby & Mama courses only. At the time of inquiry, we will ask you which lesson you are interested in, your childs name, age, English experience and contact information. Toddler Preschool and Kindy Preschool courses will receive a guided school tour and info session. Q: What can my child do during the trial lesson? Your child will be able to join the classes “Circle Time” and have fun singing, dancing and practicing this months target grammar / Q&A. 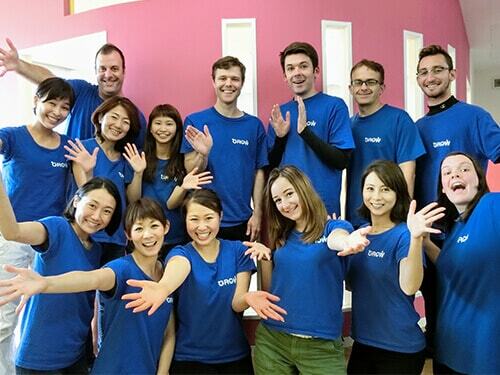 Q: What’s the difference with a Japanese kindergarten? Unlike Japanese kindergartens, our children grow in a 100% English only environment. 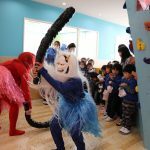 Similar to Japanese kindergartens, we tailor our classes’ curriculum and levels to meet the age-specific development of the kids. We also incorporate seasonal events and cultural activities that are unique to Japan (such as the star festival or carp festival). We also do heavy emphasis of our sports days and school performances! Q: Can I change the number of times / days my child attends school? You can change the days your child attends the school if there are spaces available to accommodate him/her. Please contact us for more information. Q: What about snacks / meals at school? We prepare an allergy-friendly snack for children at school. We also have a dietician prepare nutritional school lunches for kids (without allergies) that order school lunches. School lunches are optional and you can bring one from home if you wish. Once the first child joins, the second child does not have to pay a registration fee. Registration fees are by family. Additionally there is a 20% sibling discount from monthly tuition for children that are in the baby & mama or afterschool courses. Q: Can parents participate in events? We have various events each year that both parents can participate in! Easter and Halloween are great for parents to have fun with their children!